The stool tool by Vitra is characterised by a stepped design, which combines the table and the chair in a clever piece of furniture. Thanks to the two platforms of different heights, the Stool Tool can be tested in various different seating positions. Its use is therefore quite intuitive: The higher paltform can be used as a comfortable backrest or as a small work surface as well as a shelf. The Stool Tool by Konstantin Grcic is also suitable as a practical step to reach high shelves or cupboards. Thanks to its light weight and handle, the seat object can also be transported to various locations, always at hand whenever it is needed. 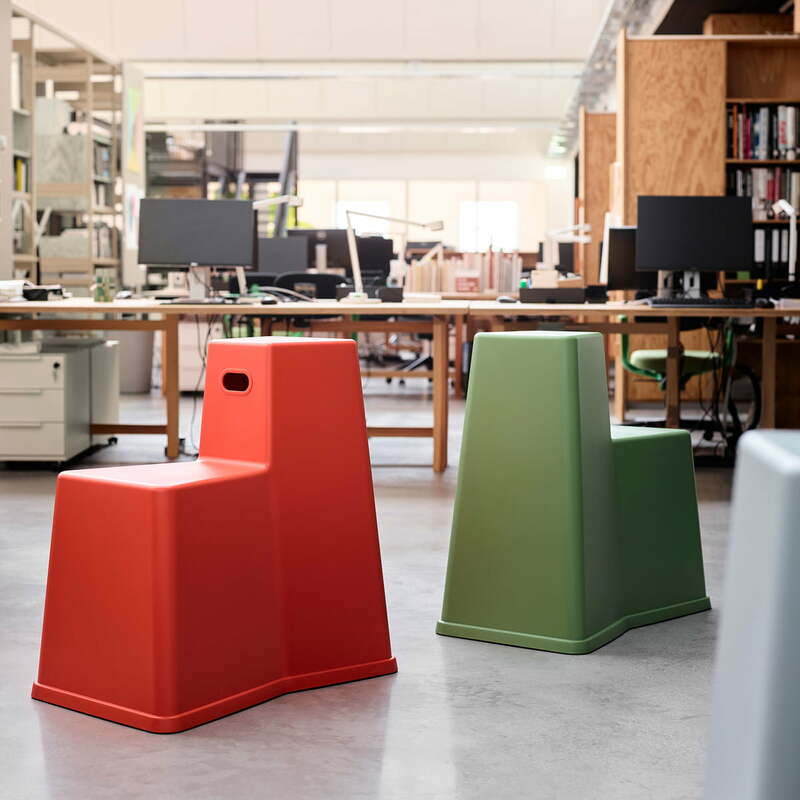 It is therefore a great stool in a co-working space, for spontaneous brainstorming sessions. The Stool Tool by Vitra is made from polypropylene, a material that is ideal for outdoors use. In addition, up to 10 of them can be stacked, ensuring space-saving storage when not in use. 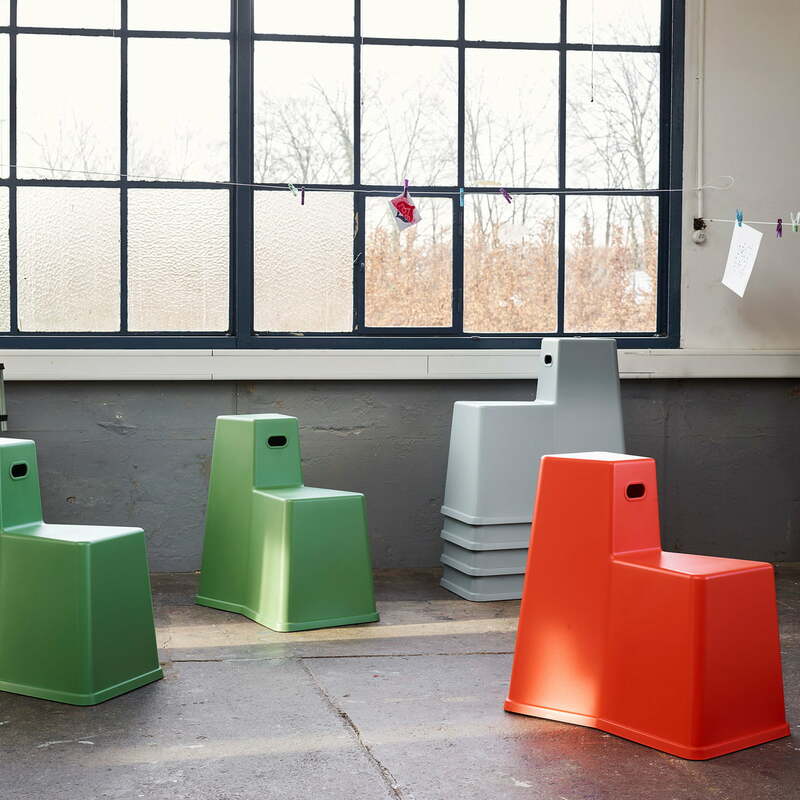 The stool is available in various colours. 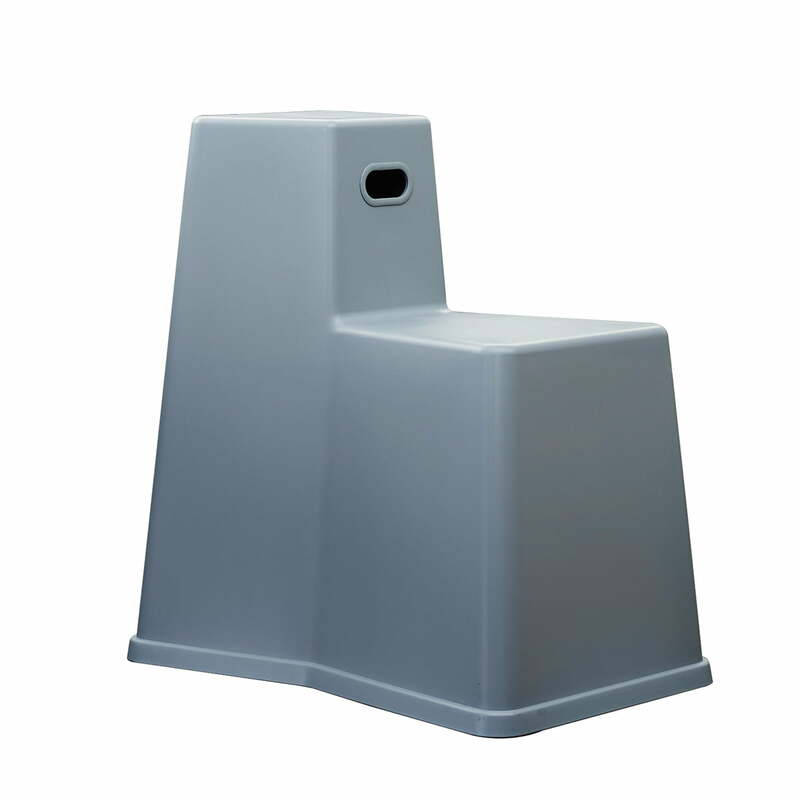 Isolated product image of the Vitra - Stool Tool in light grey. The stool tool by Vitra is characterised by a stepped design, which combines the table and the chair in a clever piece of furniture. 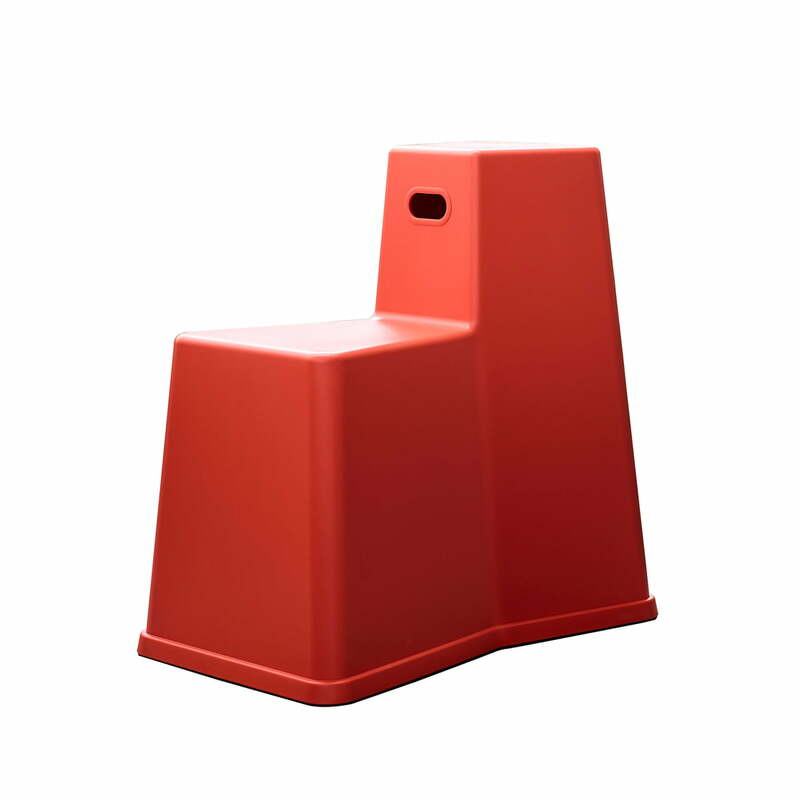 Isolated product image of the Vitra - Stool Tool in poppy red. The stool tool by Vitra is characterised by a stepped design, which combines the table and the chair in a clever piece of furniture. Lifestyle product image of the Vitra - Stool Tool. Thanks to its light weight and handle, the seat object can also be transported to various locations, always at hand whenever it is needed. 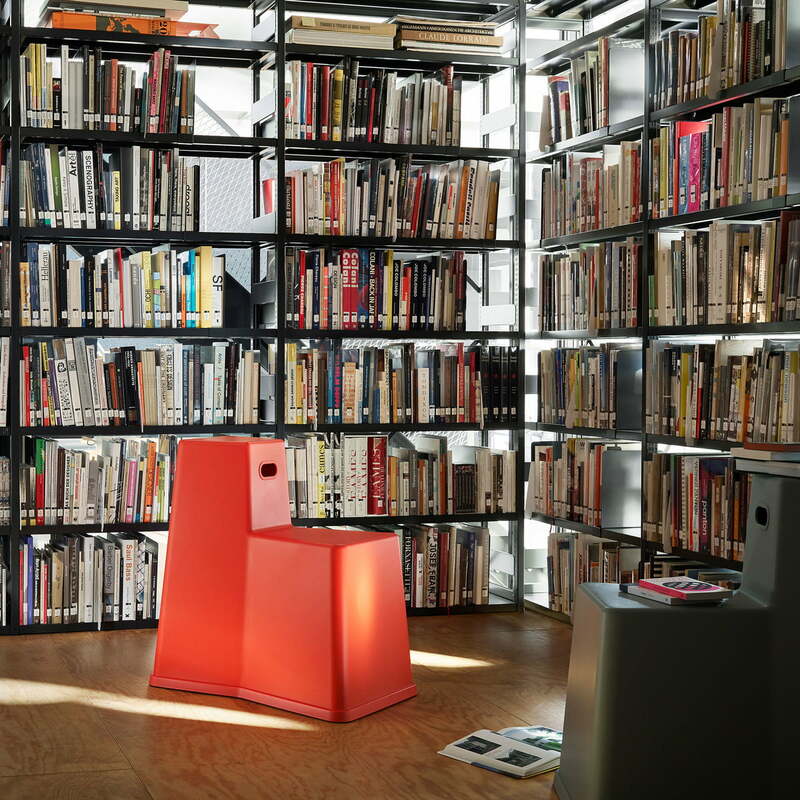 Lifestyle product image of the Vitra - Stool Tool in the library. A real all rounder: The practical Stool Tool can be use as a stool, chair, table and step. Lifestyle product image of the several Vitra - Stool Tools. 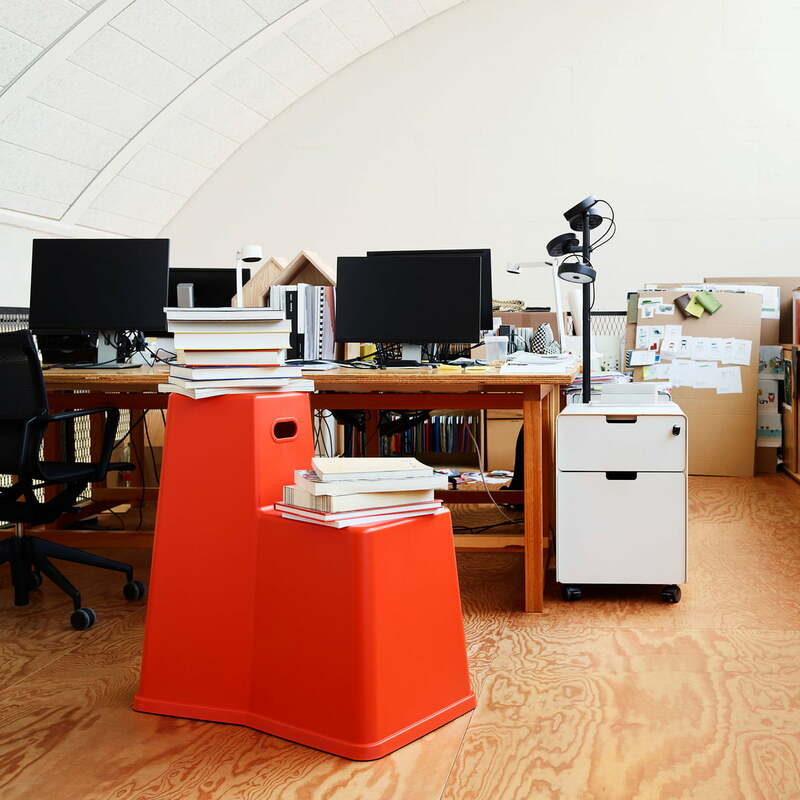 In addition, up to 10 of them can be stacked, ensuring space-saving storage when not in use. Lifestyle product image of the Vitra - Stool Tool. The Stool Tool by Konstantin Grcic is also suitable as a practical step to reach high shelves or cupboards. Lifestyle product image of the Vitra - Stool Tool. Its use is therefore quite intuitive: The higher paltform can be used as comfortable backrest or as a small work surface as well as a shelf. Lifestyle product image of the Vitra - Stool Tool. Thanks to the two platforms of different heights, the Stool Tool can be tested in various different seating positions.